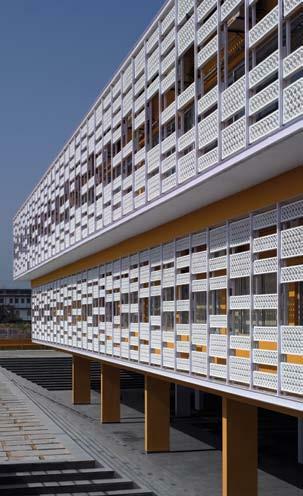 Pearl Academy of Design, Jaipur, by Morphogenesis - ArchitectureLive! 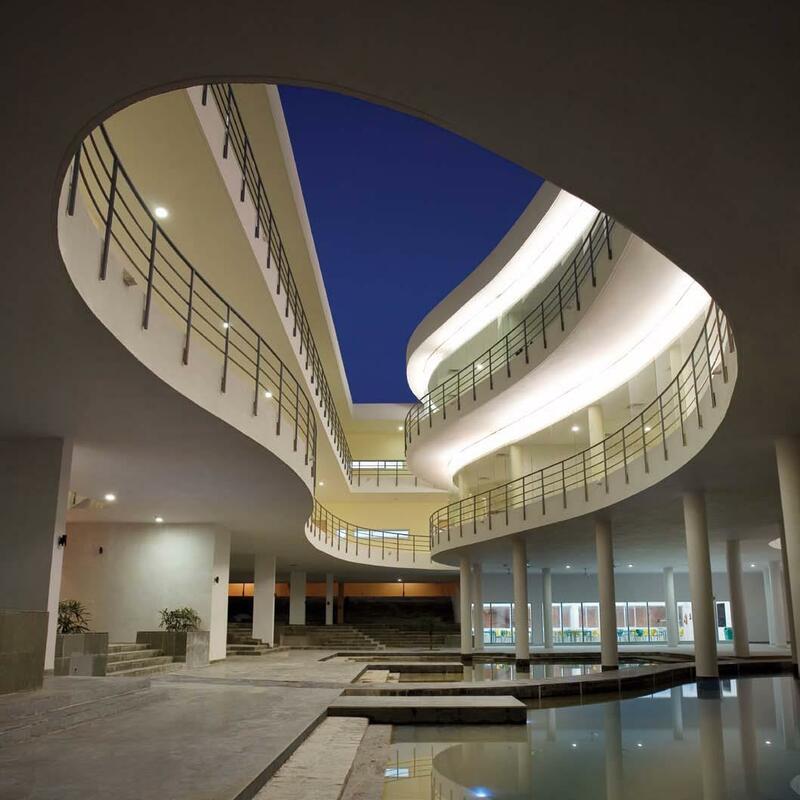 The Pearl Academy of Fashion, Jaipur is a campus which by virtue of its design is geared towards creating an environmentally responsive passive habitat. 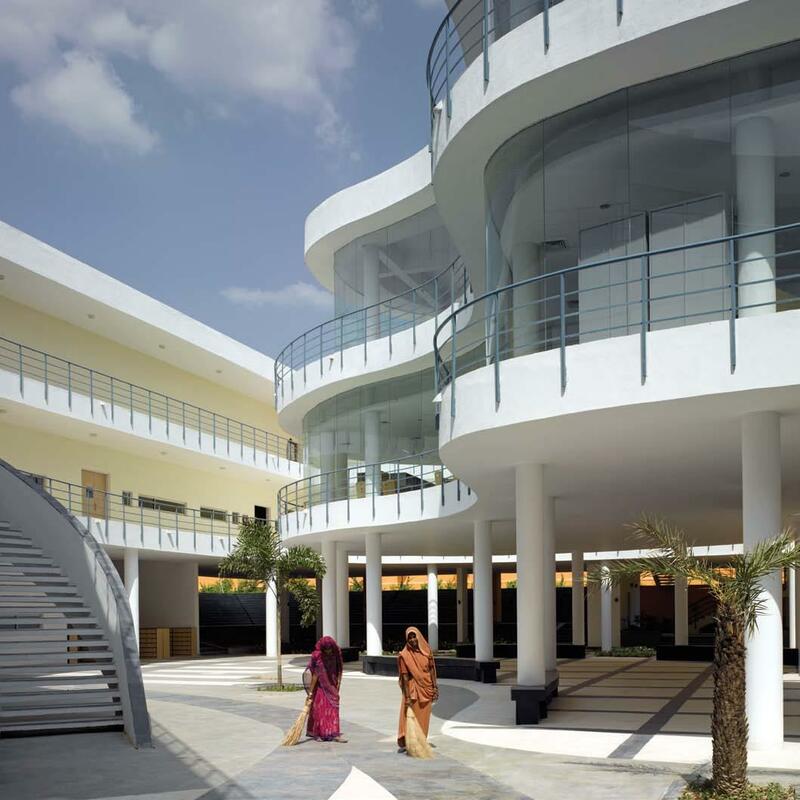 The institute is located in a typical hot, dry, desert type climate on the outskirts of Jaipur in the soulless Kukas industrial area, about 20 kilometers from the famous walled city. The adverse climate makes it a challenge to control the micro climate within the project thus incorporating various passive climate control methods becomes a necessity and also reduces the dependence on mechanical environmental control measures which are resource hungry. The building is protected from the environment by a double skin which is derived from a traditional building element called the ‘Jaali’ which is prevalent in Rajasthani architecture. 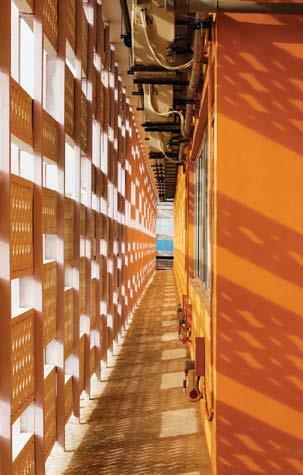 The double skin acts as a thermal bu er between the building and the surroundings. 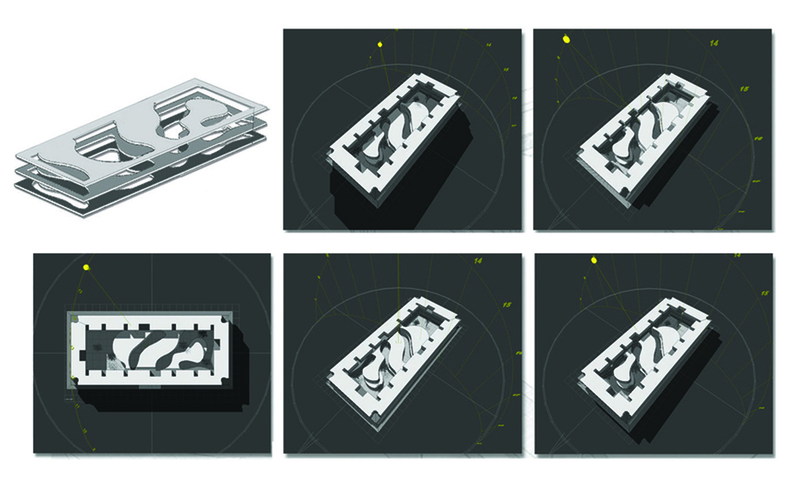 The density of the perforated outer skin has been derived using computational shadow analysis based on orientation. The outer skin sits 4 feet away from the building and reduces the direct heat gain through fenestrations, yet allowing for diffused daylight. The jaali thus, serves the function of 3 filters- air, light, and privacy. 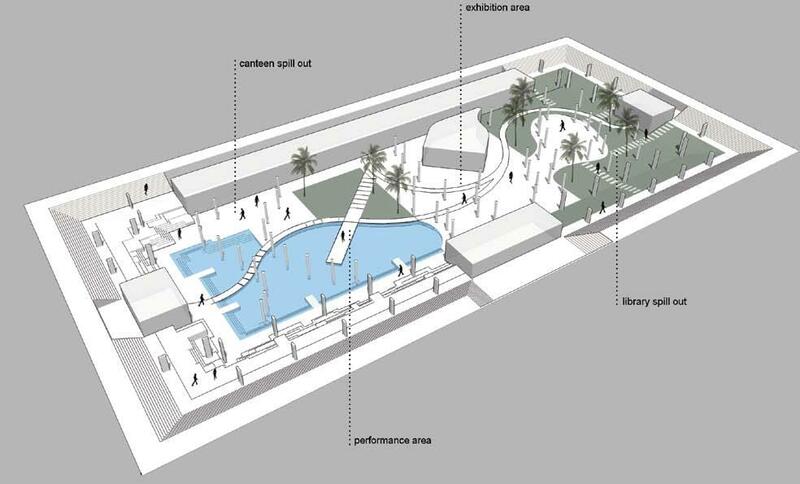 The scheme relies on self shading sliver courts to control the temperatures of internal spaces and open stepped wells while allowing for sufficient day lighting inside studios and class rooms. Programma c requirements enabled the conception of a whole level of functions in the underbelly which would operate in a passive environment without the employment of any mechanical means of heading and cooling. The en re building is raised above the ground and a scooped out under belly forms a natural thermal sink which is cooled by water bodies through evaporative cooling. These water bodies are fed by the recycled water from the sewage treatment plant and help in the creation of a microclimate through evaporative cooling. The materials used for construction are a mix of local stone, steel, glass, and concrete chosen keeping in mind the climatic needs of the region while retaining the progressive design intent. 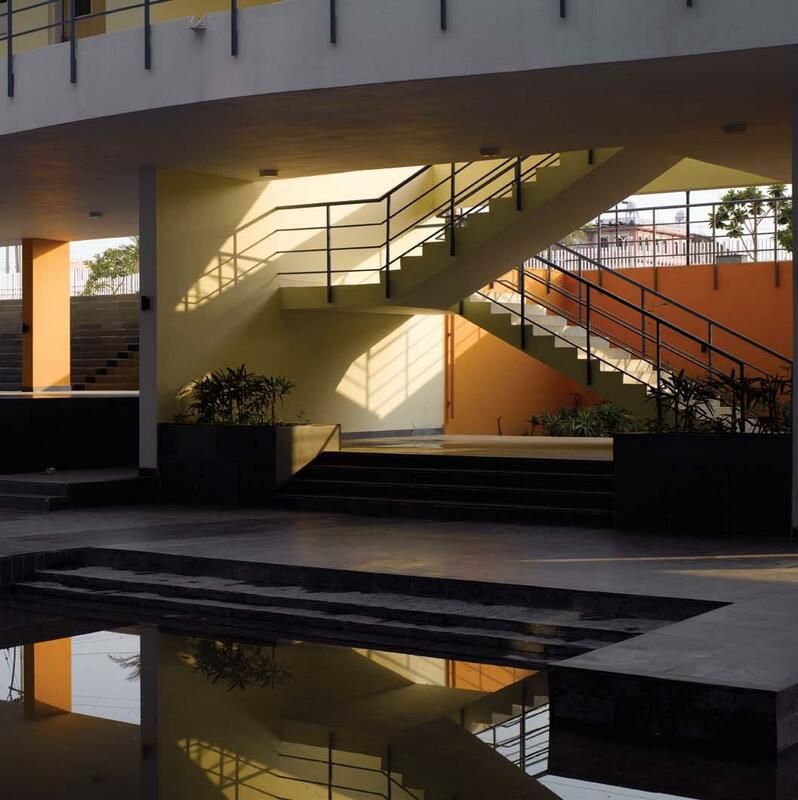 Energy efficiency is a prime concern and the institute is 100% self sufficient in terms of captive power and water supply and promotes rain water harvesting and waste water re-cycling. 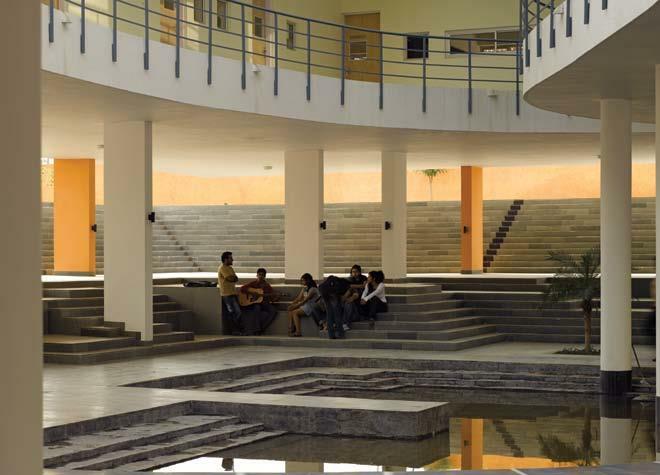 Besides having become a very successful model for cost effective passive architecture in desert regions the design and facilities of the campus complement the ideology of the Pearl Academy of Fashion – a cutting edge design institute with a sustainable approach. 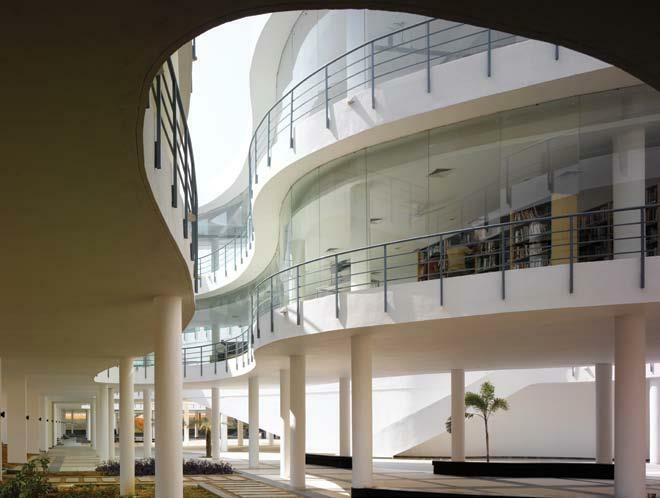 The Pearl Academy of Fashion is an exemplar of an inclusive architecture which intends to accommodate all the heritage values while positioning it within the contemporary cultural and architectural paradigm.